Have you ever been in a situation where you have to change your car battery? It can be a hassle, right? Not to mention that it will cost you money as well. That’s why it is important that you have to be prepared and you should know the signs if your car battery is going to go flat sometime soon. In this article, we’ll share with you the answer to a very important question about car care: what is the average life of a car battery? Let’s start! 2 How Do Car Batteries Work? Any vehicle gets it power from the batteries. Cars are one of the most powerful and useful things to have in life, but we often take the batteries for granted. They get our cars started and kept them running. The batteries inside the cars are even used to power the electric devices and actively work on the accessories that are set up inside the vehicle. The information about how long a car battery last is not definite. The average life of any car battery is about 3-4 years. The exact number of years a car battery is going to run depends on a lot of factors. We need to understand the working of the car battery to know how the car battery works and what adds to the life of the battery. Most of the cars that run on the road use a 12-volt lead and acid battery. The batteries come in a few varieties, but mostly, the make and functioning are the same. The battery is called an automotive battery, and it works because of a series of cells that are lined up together. There are about six cells that produce about 2.1 volts. Two types of lead plates cover each of these cells- the lead and the lead dioxide. There is sulfuric acid that covers these cells and plates, and each of these cells is connected to the next one in line which creates two poles one negative and one positive. The working of the battery is dependent on the chemicals and these cells and plates. When these are connected to a circuit, a chemical reaction takes places which make the electrons move and generate the electric charge. There is a battery discharge when the electrons move from plate to plate. They get charged when they are back to the first plate. This happens at a fast pace when the battery is new, and the chemical reaction is rapid. Over the time the battery runs out of power as the chemical reactants get used up. It also happens that the reaction stops entirely and is not able to produce any voltage for the vehicle to move or function. Would you like to know how you can recondition a car battery? => You can go to read the information on this page. If you need to know how to check car battery life, you should understand what makes a car battery stay long and what actions have negative impacts on it. Many factors influence a car’s life even though have a prolonged impact; the car battery can degrade itself in the natural situations as well. The nature of the car battery and the presence of the chemical elements will make it wear out eventually. The two active factors responsible for spoiling the life of any car are driving habits and the surrounding conditions. The battery life is negatively affected by these two factors. The placing of the battery is such that it is already under the hood. There is already a lot of heat due to this, and then in a warm climate, the situation becomes even worse. The extreme heat due to the location combined with the weather can make the battery lose charge in as little as 48 hours. The reason for the same is that the battery has a lot of liquid on which it works. The extreme heat starts to affect this liquid and make them evaporate, and this starts to create a lot of internal damage. This has a direct effect on the life of the battery, and it begins to shorten. The only season that affects the car condition is not just summer; many face the problem that the car won’t start even in winter. This happens as the cold changes the battery and hampers with its power to starts. The battery is not able to get the initial supply of energy to get the engine roaring. The cold also affects the engine oil by thickening it which creates more problems. This is only a temporary problem though and does not affect the life of the engine the way summer season does. The climate, however, is not the only reason why a vehicle would not work. Also, it cannot be controlled by the owners of these cars. The answer to how many miles a car is driven reveals another side of the story. The engine that has run for long within a short span automatically runs out of energy and power. The lifespan then comes down to a few years just because it has provided the service beyond the capacity in that short time. Another thing that affects the life of the car is the driving habits. The habit of stopping and starting or driving for anything less than 20 minutes gives the battery power a toss. There is no time for the alternator any time for the recharge. 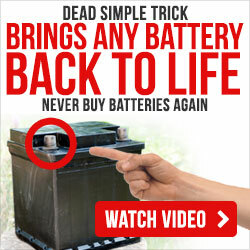 This drains the battery to really low levels and does not give it time to revive lower the life’s expectancy. Proper care while driving should be taken for the battery to run long. The battery can get affected by many factors and the signs by the same are shown very often. There are many signs that the battery is not in a healthy condition. There are often sluggish cranking when the battery is about to give up. There could be signs of the electronic equipment that are fitted to start to act erratically which could include the lights or systems. It is a good habit to check the battery every six months for any leakage or swelling. If there is any smell, it means that there is something which should be immediately checked. These internal problems sometimes do not surface that easily and leave the battery completely ruined before any actions are undertaken. Most of the new age vehicles have an engine light that shows the health of the engine which must not be ignored at any cost. The batteries go bad eventually, but if the owner of the vehicle takes care of it, then this situation can be delayed. When the car battery reaches three years of service, it should be kept in mind that the car battery is nearing its time for a change. If the care is taken care of, then more significant issues can be avoided. The suitable ways of dealing with the car batteries and reconditioning them should also be taken into consideration before you think of throwing the battery out. We now know the answer to the question what is the average life of a car battery. Car batteries shouldn’t be taken for granted. To be able to take care of your car batteries properly, you should know everything that you can about them so that you will know how to use them without putting too much strain and causing irreparable damage. For any questions, simply send me an email, and we will get back to you. Other than that, we’ll give you other useful information about batteries and how you can take care of them better.